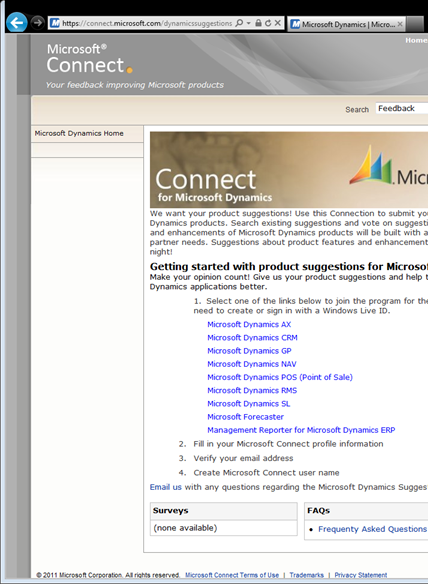 Microsoft wants your feedback on how to improve Microsoft Dynamics NAV, if you didn’t know. There’s a couple little hoops to jump, but then you can send product suggestions to the NAV team directly. Watching: When you view a Suggestion you like, you can click a link to Watch it so you can easily find it again. 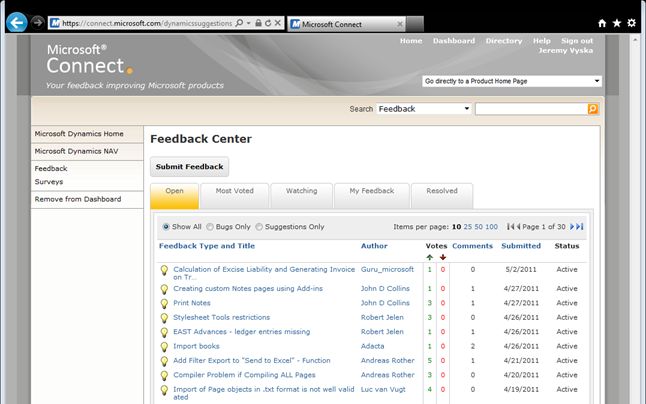 And of course, you can Submit Feedback, which will guide you through that without my help. Featured Posts, NAV Usage Microsoft. permalink.